“Lucy” is now playing at Point, Eastgate, Star Cinema and Sundance. R, 1:30, two stars out of four. Scarlett Johansson’s year at the movies has been inhuman. First, she played a sentient computer program in “Her,” then a predatory alien seductress in “Under the Skin.” Now, in Luc Besson’s “Lucy,” she’s a woman who becomes superhuman when an experimental drug unlocks 100 percent of her brain power. The days of playing zookeepers in “We Bought a Zoo” seem long behind her. “Lucy” seems the most farfetched of the bunch, and not just because Lucy can instantly access the entire base of human knowledge or throw bad guys around the room with her mind. The film is an ungainly mix of Besson’s typical girl-with-a-gun action thriller and some trippy, dippy sci-fi, at times literally cross-cutting back and forth between the two. Think “La Femme Nikita” suddenly tripping and falling into “The Fifth Element” — it’s a candy-coated mess. It would have been fun to see the formerly timid Lucy slowly flexing her new brain muscles, but she snaps into superwoman mode in an instant, able to shoot six men in six seconds, change her hair color, even appear on television screens halfway around the world. Basically, whatever power Besson thinks it would be cool for her to have (and might help paper over a plot hole), he gives it to her. Lucy goes to Paris to find Professor Norman, Korean gangsters on her trail. 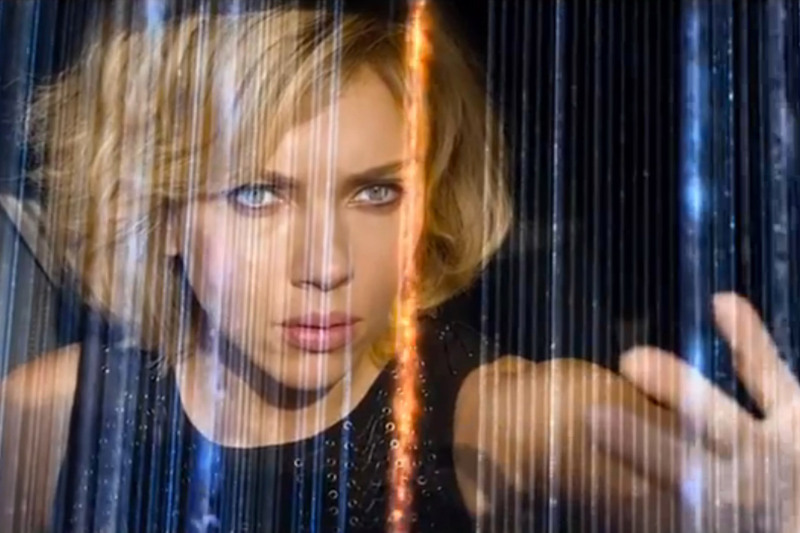 The stronger and smarter Lucy gets, the less interesting she and the movie become. She’s basically invulnerable, so there’s no thrills in the action scenes (including a random car chase that looked heavily CGI’d up). And she grows colder, less human and relatable. I started to miss that scared woman in the leopard-print coat. Besson wants to blow our minds, especially with a WTF finale that traipses across time and space, but he’s tethered to action-movie tropes that went out of style in the ’90s, frankly. It’s like he wants to make his own “2001,” but can’t resist putting in a climactic gunfight between HAL and Dave.